Shortly after moving to the country I was complaining to a friend about my allergy to commercial soaps. I used to be a major fragrance junky! I was one of those people who now make me miserable. I had more than half a dozen different colognes, and I had matching soap, lotion, and powder for at least four or five of them. And then one by one, they all made me start itching and sneezing. I’d go to a department store and try a spritz of a new one at the cosmetic counter and then walk around for a couple of hours. If it didn’t bother me, I’d buy it. But within a week, I’d be sneezing and itching again. I couldn’t even use any soaps that had fragrance in them. I found a single brand of unscented soap at the health food store that I could use. And that’s why I was complaining to my friend 15 years ago. I missed fragrances! “Well, you have goats. Why don’t you make soap?” she asked. “You know — goat milk soap. It’s supposed to be good for your skin,” she responded. I hadn’t heard of goat milk soap, but I figured that if I could control the ingredients, I could figure out what I was allergic to. I should be able to find something that I wasn’t allergic to, right? 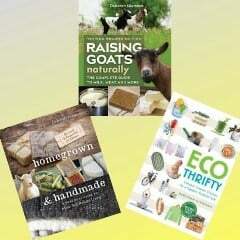 Thus began six months of reading books and websites to learn how to make soap. Like everything else on the homestead, the reason I started doing something and the reason I continue doing something are not the same. Yes, I’m thrilled that I have scented soap, but the reason I continue making my own soap goes beyond how much I love the scent. And this list is just the beginning. There are even more health problems associated with fragrances and the other chemicals found in them, but that’s a post for another day. Bottom line — I buy NOTHING with the word “fragrance” on the label! If it is scented, I want to see the list of exactly which essential oils are included. Don’t be fooled by the word natural on a label. That is meaningless. I’ve had plenty of “natural fragrances” that made me sneeze. Plus, essential oils are more expensive than fragrance oils, so if a company is spending the extra money to use essential oils, they will list them on the label. Soap is saponified oil, wax, and/or fat. But most of the stuff sold in stores is not really soap. It’s detergent. It’s great at cleaning things that are really dirty, but it’s bad for your skin because it strips it of all its natural oils. Before I started making soap, my husband’s elbows were so dry they would frequently crack. My son’s hands looked like fish scales. I kept a bottle of lotion next to the sink because washing my hands dried them out so much. (Unfortunately I was still using a liquid hand washing product, even after I switched to a natural soap in the shower.) All of those problems went away when we started using homemade soap. On the rare occasion when I forget my soap when traveling, I am quickly reminded of why I make soap! Many of these products list sodium laurel sulfate as one of the top ingredients, which “can cause damage to the outer layer of skin by disrupting the function of skin proteins and causing itchy, cracked, and dry skin. In shampoos, this ingredient can increase risk of scalp irritation, stinging eyes, and tangled, split, frizzy, and dull hair.” (Of course, they add other chemicals to deal with those problems.) I used to be seduced when an ingredient label said the SLS was from coconuts, but that was before I knew that that was nothing more than a marketing ploy. It is still a chemical stew. What if I don’t want to make my own soap? There are lots of people who make homemade soap for sale. You can buy it at farmers markets, craft fairs, and health food stores, as well as many online sites, such as Etsy and Local Harvest. But you still have to be a savvy consumer. Because fragrance oils are cheaper than essential oils, many home soapmakers use them, so you have to check the ingredient list. The nice thing about buying from someone who makes the soap is that you can also ask them questions. 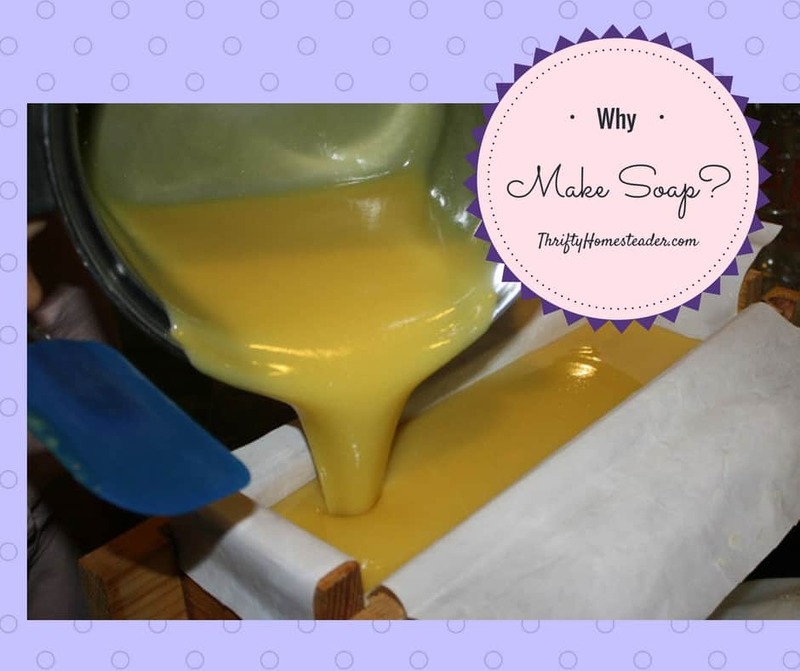 Is it hard to learn to make soap? Not really, but it’s more involved that simply mixing up a cake. I’ve never written a blog post about it because there is a lot of info to digest — too much for a blog post. Complete instructions in my books are eight or ten pages plus recipes. 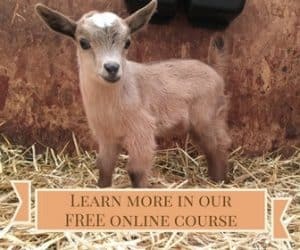 I also have an online course that teaches you how to make soap, covering a variety of related topics, such as ingredients, how to make your own loaf mold, and how to slice your soap without buying a $300 soap slicer. You can check it out here.